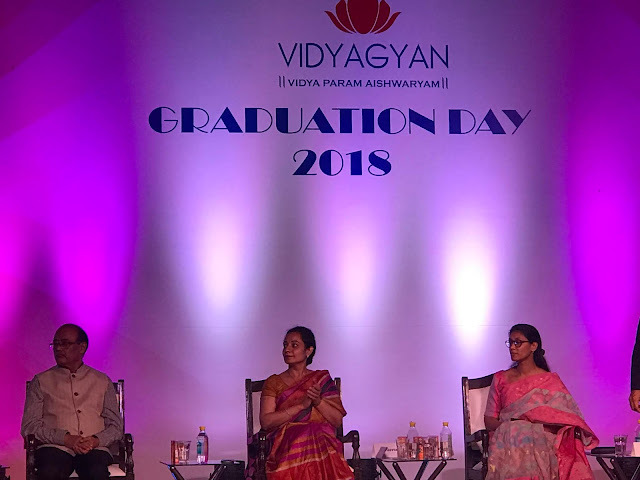 New Delhi, July 28, 2018: VidyaGyan, a leadership academy for economically underprivileged, meritorious students from rural Uttar Pradesh, today celebrated the graduation ceremony of its 2018 batch. A total of 363 students graduated from the school this year after appearing for their CBSE Class XII board exams. The event was graced by Mr Suresh Narayanan, Chairman and Managing Director, Nestle India and Ms Geeta Goel, Country Director, India, Michael and Susan Dell Foundation as guests of honor, who addressed the students and shared their personal journey with the audience. The Shiv Nadar Foundation (www.ShivNadarFoundation.org) has been established by Shiv Nadar, Founder, HCL - a $8 billion leading global conglomerate. The Foundation’s mission is to contribute to the process of national development and social transformation by establishing institutions and undertaking new initiatives in the fields of education and culture. The Foundation is committed to the creation of a more equitable, merit-based society by empowering individuals to bridge the socio-economic divide through philanthropy-based transformational education.